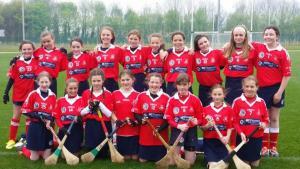 St Brigids U12 Camogie Team are taking part in CamÃ¡n to Leinster in Abbottstown today! 50 clubs from Leinster will participate in the event in the national GAA Games Development Centre in Abbotstown. This is a participation event for under 12 clubs in the province. A provincial event is held in each of the 4 provinces each year with registered clubs entered into a draw to play in Croke Park in August. Best wishes to the girls, enjoy the day! !